Since 2001 Bad Backs has continued its path of delivering a unique and diverse range of products, medical information and services. And following the growing demand for our ergonomic office chairs and accessories range, we have launched our Corporate Seating division to focus on office furniture solutions and workstation assessments. Today there is far greater awareness and understanding of the importance of workplace ergonomics amongst experts working in the field, governments, employers and employees alike. And everyday we talk to our clients about back and joint pain and helping them improve their working environments, whether it’s a small home office or part of government or corporate Australia. Bad Backs embraces a scientific and research based approach to workplace ergonomics and has collaborated with independent ergonomics professionals and medical personnel to provide up-to-date information and support that forms the ‘backbone’ for our services and product range. 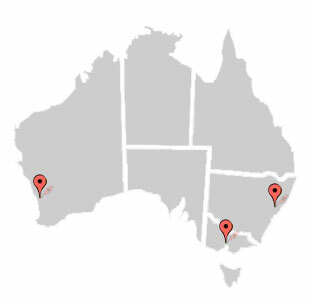 Our R&D team is constantly on the move both locally and internationally to keep pace with the latest product innovations, while the Bad Backs Specialist Seating team and management team focus on product integrity, value for our clients, and improving our environmental footprint. Of course a large proportion of being eco friendly depends on our suppliers, and each year we see significant improvement in reduced landfill, hazardous waste generation, green energy use, and product components recyclable. 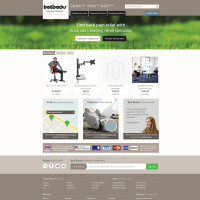 The links at the bottom of this Bad Backs Specialty website are there to assist you with queries regarding security, delivery information, returns policy, pricing, supply of product, environmental policy and recycling. We welcome your enquiries via email, or freecall our Sales Support team on Freecall 1800-615-666, or visit one of the Bad Backs retail stores today. Our goal is to help you reach the appropriate balance of health, safety, comfort and productivity in your workplace.